details while you enjoy the sights and the nature at your own pace. Your driver and your English speaking guide will collect you at your hotel around 7:30am and start to drive north. After 1-1.5 hours, depending on your hotel location, we stop for a coffee break in a local place at Khok Kloy town, a few km after crossing Sarasin Bridge which connects Phuket to the mainland. 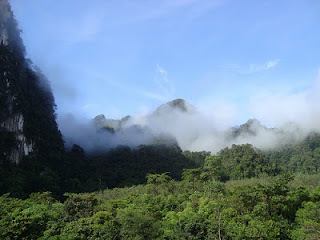 Around 10:30-11:00 we reach Khao Sok and start an amazing canoeing OR "river tubing" experience on the river (your choice between the two), completely surrounded by the wilderness of the oldest rain forest on Earth. If you choose the canoe, pleasant and professional local paddlers are provided, but you can also paddle by yourself if you prefer. For those who are not familiar with it, the river tubing is a mix of relaxation and fun as we go with the water flow sitting in the big doughnuts. Some sections of the Sok River are slow and quiet, while others have little rapids to make the descent more exciting. This is an amazing experience that makes you really feel as if you are part of the jungle itself and the stunning limestone cliffs nearby. 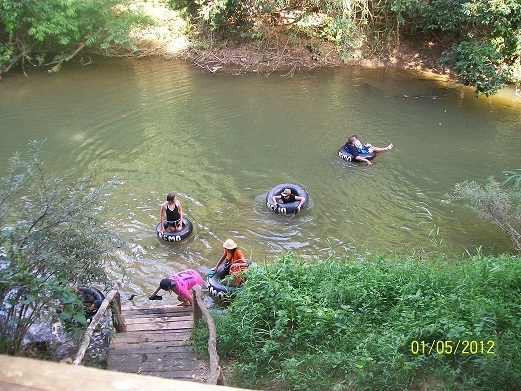 If you are looking for a more action-packed tubing experience you can check the Kapong Tubing Safari Day Tour. 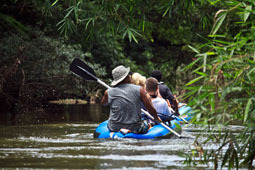 Conservation Centre, short Elephant Trekking and more that you can decide with your guide. *timing is approximate and might vary depending on hotel's location, logistics, weather etc. Children: 5-11 years THB 900 per child, kids below 5 years of age are free of charge. Included: All transfers, knowledgeable and friendly English speaking guide, Lunch, soft drinks, local beers (two cans per adult), canoe OR tubing with related equipment, tax and insurance, National Park fees. Two great days in nature, a good balance between adventure and relaxation. Standard Room (double/twin sharing) enjoy the place with SPA, pool and natural surroundings, relax in the wonderful atmosphere, dinner. Khao Lak and lasts approximately one hour, here we also find a small scenic waterfall. Point from where you have a stunning view over the Phuket and the Andaman Sea. We arrive back to the hotel around 18:00. (Day 2), Lunch (Day 2), tax and insurance, National Park fees.